Lung cancer is more common in men. The risk of being diagnosed before the age of 85 is 1 in 13 for men and 1 in 22 for women1. Lung cancer occurs most often in adults between the ages of 40 and 70 who have smoked cigarettes for at least 20 years. The cause is not known in all cases. However, up to nine out of 10 lung cancers are caused by smoking. 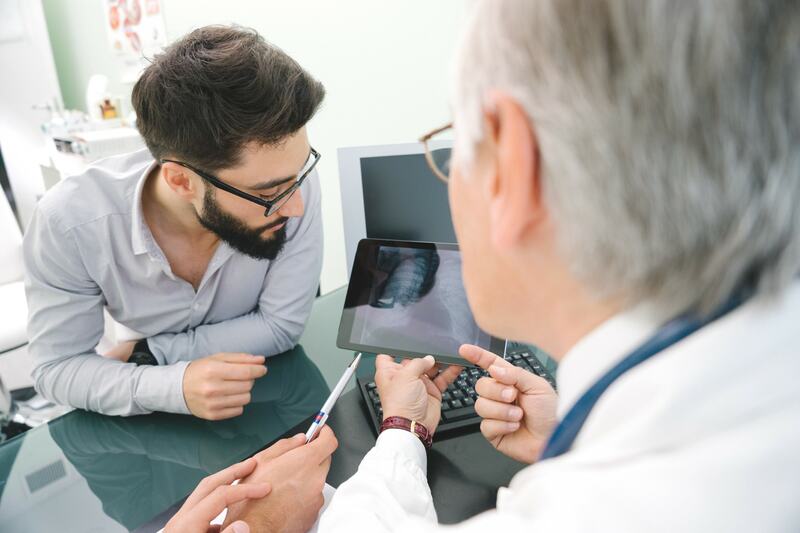 The risk of developing lung cancer is strongly linked to the age a person starts smoking, how long they smoke and the number of cigarettes they smoke. Chronic exposure to second-hand smoke, such as living with someone who smokes, is thought to increase a non-smoker's risk of lung cancer by about 30 per cent 2. A small percentage of non-smokers develop lung cancer, even though they have never smoked and are rarely exposed to smoky environments. A person may also experience symptoms such as fatigue, weight loss, hoarse voice, wheezing, difficulty swallowing, and abdominal or joint pain. If you have any questions or concerns about any symptoms you may have, talk to your GP. Biopsy – this involves taking a sample of tissue to confirm whether you have lung cancer. Lung cancer is divided into stages according to its spread. Staging the cancer helps your doctor recommend the best treatment for you. The most common staging system for lung cancer is the TNM system. Surgery –to remove part of the lung, or the entire lung. Cancer therapies–this includes radiotherapy, chemotherapy and targeted therapy , these options may be used to target and kill cancer cells and to stop them from spreading. In some cases, patients may be able to take part in a clinical trial that is testing new or modified treatments. Your doctor will recommend the best treatment option for you, but it’s important to talk to your doctor about any questions or concerns you have about your treatment. In some cases of lung cancer, your medical team may talk to you about palliative care. Palliative care aims to improve your quality of life by alleviating symptoms of cancer. As well as slowing the spread of cancer, palliative treatment can relieve pain and help manage other symptoms. Treatment may include radiotherapy, chemotherapy or other drug therapies.